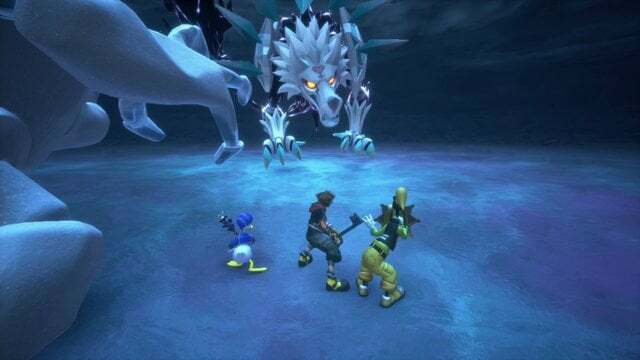 This huge ice wolf Heartless has a whopping 16 bars of health that you have to deal with. There are a few attacks that you will need to worry about. The first are its strong melee hits with its hands and tail, its powerful blow back ability, and the energy balls it will launch at you. The energy balls can be easily dodged by dodging left or right but the melee hits are hard to avoid. You will want to attack after the boss stops attacking, dealing at least one full combo if possible. You also want to make sure to do form changes and team moves as soon as you get them. Thankfully, you have Marshmallow on your side and he will deal some powerful hits on the ice wolf when up close. You are going to want to save MP in this fight for healing, especially because the boss will summon smaller wolf adds relatively early on. 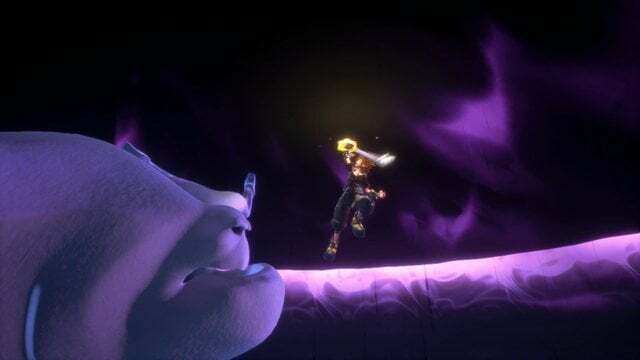 The adds can be taken out in one to two normal hits but we found the best way to take care of them is using Marshmallow’s Mighty Avalanche team move. This is also a great way to take out upwards of three health bars on the boss. 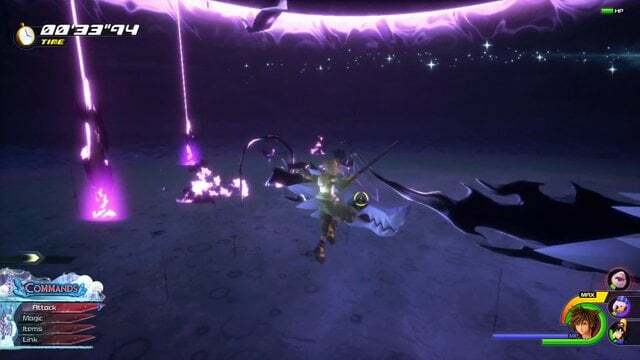 When the fight gets to around halfway, the wolf will fly up into the sky and summon a huge black energy ball. It will slowly come crashing down and you have a sort of DPS (damage per second) check that is normally found in MMO’s like Final Fantasy XIV. You need to destroy the smaller wolves as quickly as possible while avoiding the lasers blasts from the sky. You only have around 40 seconds before the ball come crashing down. Right before the timer goes out, you should get the Subzero Impact ability. Quickly use up any current abilities you have so you can use it ASAP. This will stop the ball from crashing into the ground. Afterwards, the boss will charge around the room. Avoid this and then start attacking once again. Once the boss is at about a third health left, it will summon the huge energy ball again. It’s the same procedure as before. 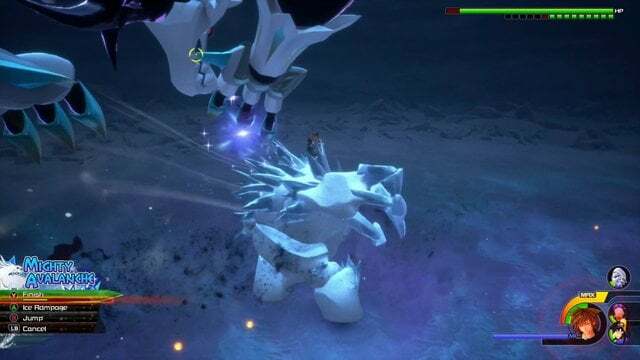 Defeat as many smaller wolves as you can and use Subzero Impact before the timer runs out. If you end up running out of time like we did, that’s okay. You can survive the hit but it will take out around a half of your max HP. Continue attacking the boss and using rage form to regenerate health if necessary until it is defeated.